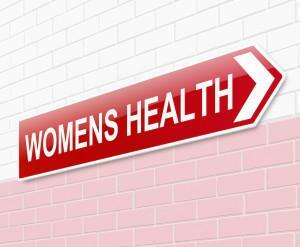 Common Birth Controls: Problematic or Dangerous to Women? You may not have heard of this, but many women have been complaining about a birth control device called Essure. These women are describing such symptoms as daily bleeding, constant headaches, bloating, as well as, stabbing pain. There is even a Facebook page called “Essure Problems.” A lawsuit was filed in May of 2014 against Bayer, the manufacturer of Essure, and this February 2015 an adverse report was submitted to the FDA where a woman died during the implementation process. The New York Times has now written an article on the device highlighting the data on the complications associated with Essure and criticism of the device. Essure is a permanent form of female birth control, or female sterilization. The device is inserted into the fallopian tubes by implanting micro-inserts which are then anchored. Tissue is supposed to grow around the device, and thus cause blockage and prevent pregnancy. The micro-inserts are comprised of two metal coils. These coils are able to be placed in the fallopian tubes through a disposable delivery system and the use of an inserted camera. The coils are comprised of nickel, steel, nitinol, and PET fibers (polymers). The PET fibers are supposed to create the tissue growth once they trigger an inflammatory response. After the device is implanted the patient is later to receive a “confirmation” test to make sure that the micro-inserts are in the correct location and that the tissue has created a complete obstruction. The device has been on the market for around 13 years. As background, Essure went through the Premarket Approval (PMA) FDA process. Part of the process requires that an applicant must receive FDA approval of its PMA application prior to marketing the device. During this process devices can either be “approved,” “conditionally approved,” or “not approved.” Essure was “conditionally approved” by the FDA. The FDA then set out conditions for approval for Essure. A lawsuit against Bayer alleges that Bayer failed to comply with several of the conditions. Just one lapse would have invalidated the application for the device. The New York Times article mentions that the FDA was concerned with the Essure trials, but decided to approve the device on the condition that there was continual monitoring of the women who participated in the trials for four more years. In a trial of 269 women, only 171 of them were followed for five years, according to the NY Times. A report on FDA.gov, shows that of those women five of them had hysterectomies and at least one became pregnant. Yet, Bayer has released new data claiming safety and effectiveness of Essure. A woman from Florida filed a lawsuit against Bayer. The complaint alleged that the Plaintiff relied on express warranties made by Bayer and that this reliance led to her injuries as the Essure device migrated from her fallopian tubes to become lodged behind her colon requiring 5 hospitalizations and a hysterectomy. Furthermore, she now has auto-immune and adhesion disorders. After two years from implantation, Plaintiff was hospitalized four times due to severe pain, fever, and fainting spells. The complaint further alleges that Bayer failed to adequately train Plaintiff’s implanting physician (specifically that Bayer provided no training to the implanting physician on how to remove Essure should it migrate), that Bayer distributed its product in an unreasonably dangerous manner, and that Bayer had a duty to train physicians in hysteroscopy in a reasonably safe manner or at the very least ensure that the implanting physician was competent in hysteroscopy before providing equipment needed to implant Essure. The complaint also includes that Bayer failed to report and actively concealed 8 perforations which occurred as a result of Essure, erroneously used non-conforming material in the manufacturing of the device, failed to use pre-sterile and post-sterile cages, manufactured Essure at an unlicensed facility, and manufactured Essure for three years without a license to do so. As such, the FDA cited Bayer for this. Furthermore, the complaint mentions that from 1997-2005, 64 pregnancies were reported to the Defendant and that Bayer concealed this information from Plaintiff. Additionally, reports have been made that there have been 30 pregnancies after the device was considered effectively implanted. Bayer claims “Essure is the most effective permanent birth control available-even more effective than tying your tubes or a vasectomy.” However, Bayer’s SEC filing states that “We did not conduct a clinical trial to compare the Essure procedure to laparoscopic tubal ligation.” In fact, according to an article in the medical journal Contraception, women who have Essure have 10 times greater risk of pregnancy after one year than those who use laparoscopic sterilization. At ten years, the risk of pregnancy is almost 4 times greater. And now, the FDA is investigating the Essure device following complaints of fraud during the clinical trial and dangerous side effects and especially with reports of death. Along with Essure, there was a recent article from CNN discussing possible dangerous side effects and deadly injuries of another form of birth control, NuvaRing. The article covers the story of one young woman who collapsed, was rushed to the hospital, and who never woke up. The young woman had a heart attack, and the hospital cited the NuvaRing she used as a risk factor for her multiple pulmonary embolisms. In another story, a different woman was luckier. After weeks of using the NuvaRing she collapsed during training, but was able to get a diagnosis of pulmonary embolisms. Her discharge papers note that the NuvaRing she had “was probably the risk factor” for her pulmonary embolisms. When deciding on what birth control to use you should discuss all possible risk factors associated with the birth control with your doctor. It is also important to check all safety risks the manufacturer has listed with the drug or device. As always you can check out FDA.gov for more information. If you or a love one suffers from any serious side effects due to Essure or NuvaRing it is important to contact an experienced personal injury attorney right away.